Your AFC & NFC Predictions…Who knows?! > News > Your AFC & NFC Predictions…Who knows?! Regardless of who you want, or who you think will win this weekend, the NFC and AFC championship games will be just as unpredictable as they’ve been this entire NFL season. One thing is for sure, the games this weekend should be a lot of fun to watch. On one side, you have the longest rivalry in the NFL with the Green Bay Packers taking on the Chicago Bears. On the other side, you have the trash-talking Jets squaring off against the Pittsburgh Steelers. Now those are some must see games no matter who your favorite team may be! As I’ve said, this has been as unpredictable of a season as they come. The teams you thought would be playing this weekend either didn’t even make it to the playoffs, or got sent home by an underdog team…but, isn’t that the way we as sports fans want it to be? Anyway, I’m going to pick who I think will move on to the Superbowl, with as much confidence as your local weather man. Packers will win over the Bears 34-31. And, I have no choice but to go with a fellow trash talker (Rex Ryan) and his Jets over the Steelers 31-27. Then again, I have no idea who’s going to win either game. I’m just hoping for some entertaining football, and I think that’s exactly what we’re all going to get. 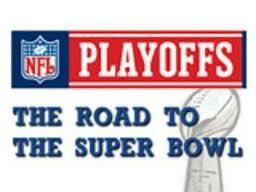 Who do you think will win the NFC and AFC championship games?? ?